Vice Prime Minister on worm bugging Iran: "Whoever sees Iran as meaningful threat – it is reasonable he would take such measures." Vice Prime Minister Moshe Ya'alon appeared to hint strongly in a radio interview Tuesday that Israel is behind the Flame malware that has attacked computers in Iran and elsewhere. 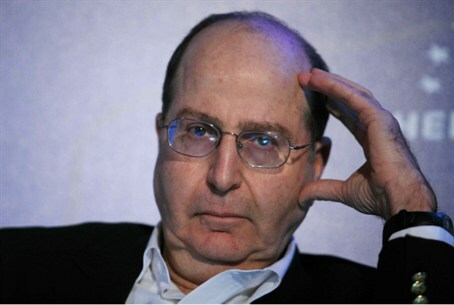 Asked about the attack, Ya'alon told IDF Radio: "Whoever sees the Iranian threat as a meaningful threat – it is reasonable he would take various measures, including this one." "Israel has been blessed with being a state rich in top level high-tech. These tools that we take pride in open up various possibilities for us," he added. Ilan Froimovich, the representative for Kaspersky in Israel, told IDF Radio that the malware is able to collect information in methods that have never been seen before. "The program can transfer files, send screenshots, give keyboard typing patterns and even record audio files," he said. The program is controlled from a remote computer, the expert said, and only begins operating when it receives an instruction to do so. "That is why it is hard to detect, because it is not active all of the time. This virus is so sophisticated that it can change [its own] characteristics and develop in accordance with instructions. It is a masterpiece of programming, not something that a bored student or some guy, talented as he may be, could do."